Develop Africa where it matters. Our Development Finance programmes are relevant for this continent thanks to their African contextualisation and the use of African case studies. The programmes have a modular format, which means you can work and study at the same time. You can build a career path by starting with the Postgraduate Diploma, adding depth with the MPhil and establishing your expertise with the PhD. Development Finance alumnus John Shivute enrolled for his PGDip because he wanted to do a programme that will advance his way of thinking. Learn more about him and what he learnt during his USB journey. Alumnus John Shivute says the PGDip in Development Finance was so enriching that he decided to do his MPhil in Development Finance (MDevF). 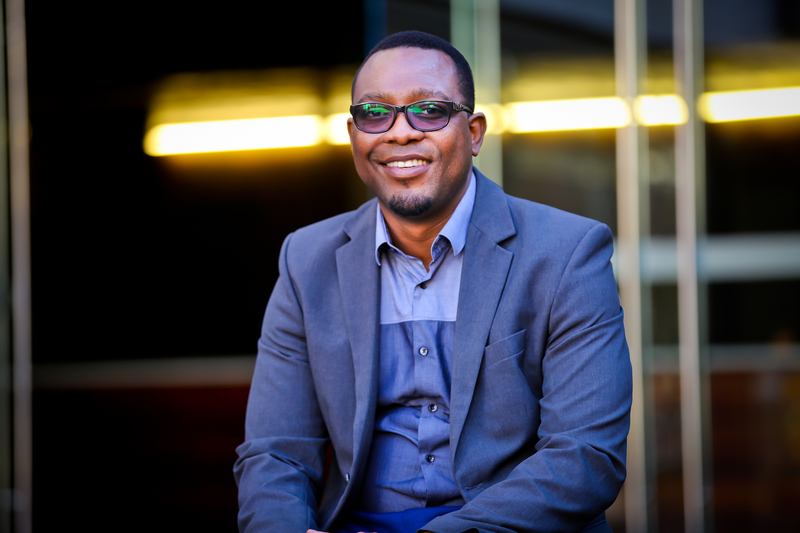 Alumnus John Shivute says the PGDip and MPhil in Development Finance programmes made him realise that a person should never stop learning. PGDip: If you are a junior or mid-level manager who is interested in a career in development finance, the financial services industry or public institutions, this is the programme you should consider. MPhil: If you work on a managerial level in a financial services environment, you should consider this qualification. This MPhil holds value for people like financial analysts and policy makers in the private or public sector who engage with macro, enterprise and sectoral finance and financial management issues with a focus on developing countries and emerging markets. PhD: You will benefit from this doctoral degree if you want to do specialised research to support the growth agendas of South Africa and Africa. You will gain a crucial understanding of development finance to apply in senior positions in policy-making institutions, governments, public and private corporations, financial institutions and global organisations. You will be able to become a development finance practitioner and develop Africa where it matters. You will be able to implement the design and financing of growth initiatives such as roads to energy plants to hospitals. You will gain an understanding of the structure of African economies and how financial markets contribute to development. You will acquire the skills to make a meaningful contribution to policy formulation and implementation in this field. You will be able to work in financial institutions such as banks and development finance corporations, and in policy-making institutions, governments, public and private corporations, and also global organisations. Our three internationally accredited programmes – a Postgraduate Diploma, MPhil and PhD – will provide you with the knowledge and skills to help develop Africa where it matters.